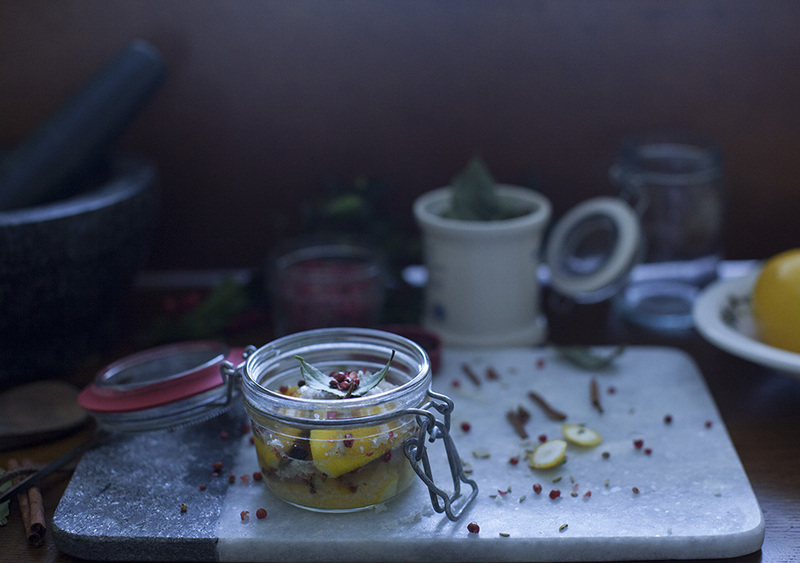 Preserved Lemons sound exotic but are dead simple to whip up and make a fabulous hostess gift for the foodies in your life. 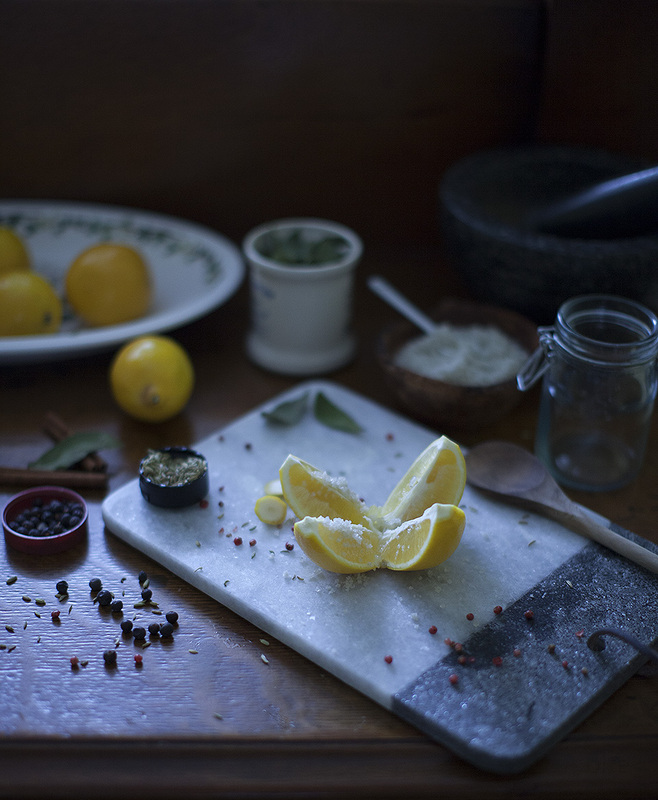 I had a commercial tin of preserved lemons in my cupboard for about three years. They were an impulse buy at a local ethnic food store. I’d never heard of preserved lemons and apparently that’s all it takes for me to lay down some cash! One day, I was digging around, in my cupboards, for something else when I discovered them pushed to the back of my top shelf. I cracked them open and my life was changed. 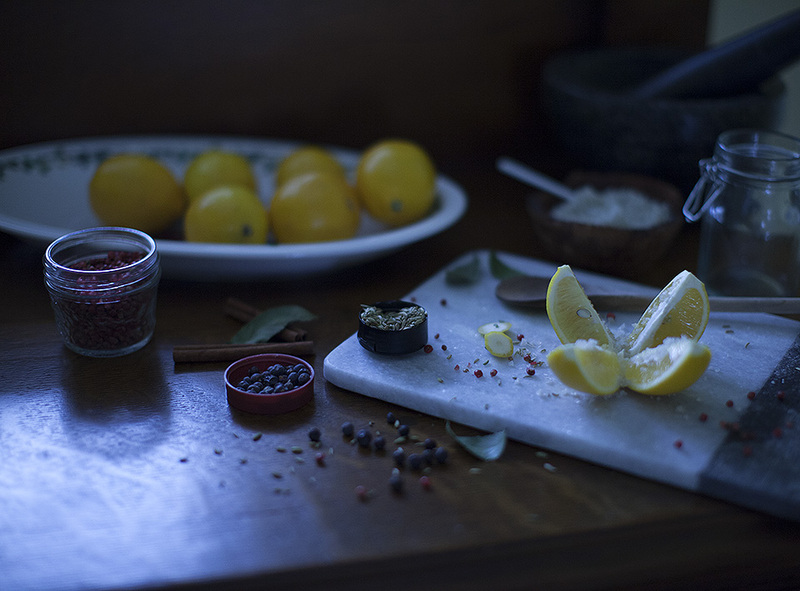 I use them anywhere I want a pop of lemon; mayos, vinaigrettes, garnishes, ethnic cooking and even in cocktails. You don’t use very much so they tend to last a while. They take a month to cure. If you decide to make some for gifts, make sure to let the recipient know to wait before using them. Slice off the lemon ends; you still want to see the pith after you slice. Stand the lemon on end, and slice it down the middle, stopping when you have about half an inch left. Make another cut perpendicular to that one again stopping before you slice through. The lemon should be quartered lengthwise, but still in once piece. Sprinkle course sea salt over the inside of the lemon, covering all of the flesh area. 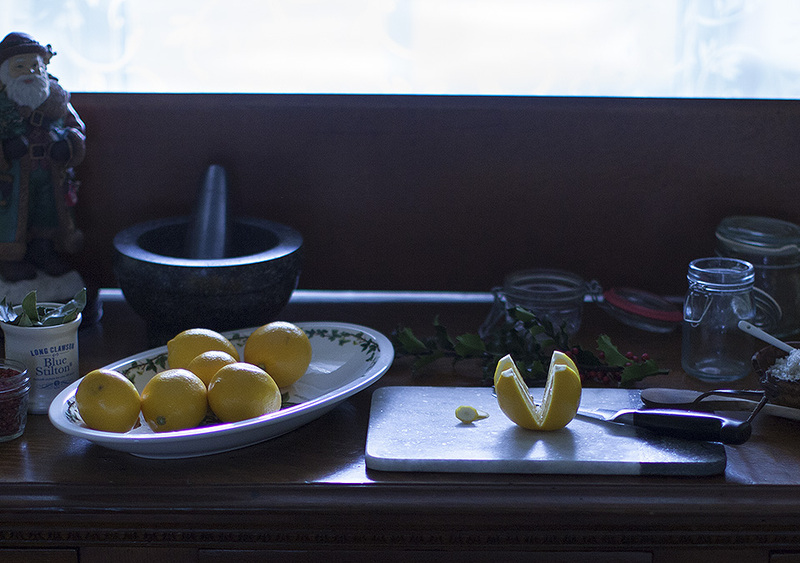 Place the lemon, cut-side down, in a sterilized jar. Press the lemon down to flatten and release its juices. Sprinkle a teaspoon of salt over the top along with a bit of the spices. I just eyeballed the amount. Repeat with remaining lemons until no more will fit when you press them down. If they aren’t covered in their own juice, top them up with some boiled water that you’ve cooled to room temperature. Seal and let them sit in a sunny spot for a month. Shake them every few days to evenly distribute the salt. After a month, store them in the fridge. To use, discard the flesh, lightly rinse the peel, and dice or slice it. 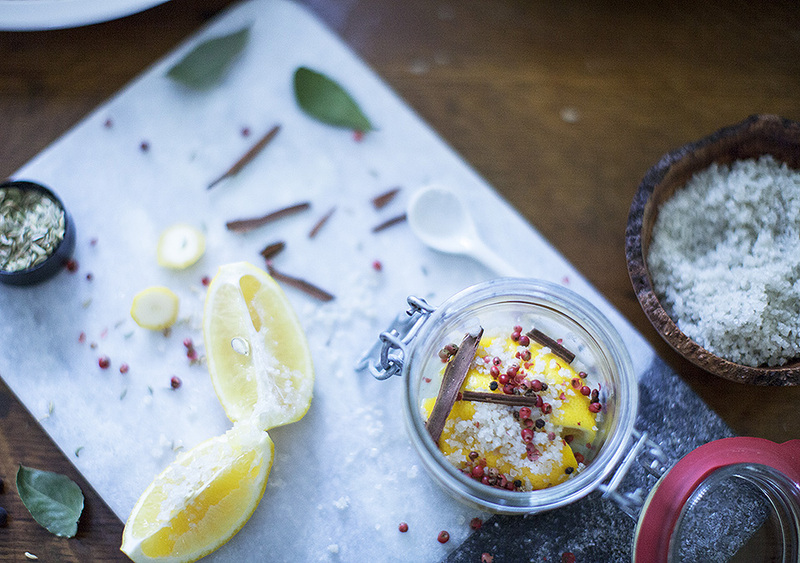 THE LOVE: The classic spice combination for Preserved Lemons is clove, cinnamon, and bay leaf. You can make them with no spices or play around with your own favourite combination. This entry was posted in preserves/jams/jellies and tagged lemons, preserves by Michelle. Bookmark the permalink.